Tasmania's famous Cataract Gorge provides the perfect natural pathway through some of the most beautiful scenery the Launceston region has to offer. 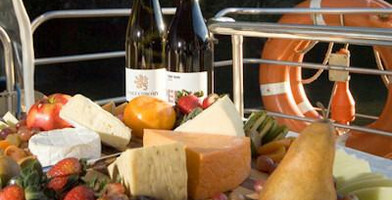 These gift vouchers will give the recipient the optimum combination of scenic delights with opportunities for wine and cheese tasting of produce from some of the area's most renowned cellar doors! Cruise into the inner reaches of this magical region and through Launceston's riverfront precinct. Head north past Tamar Island, see historical buildings, churches, hotels and significant homesteads. Let someone experience the best of Tasmania with one of these great value Tamar River Cruise gift vouchers. Choose the one that best suits your recipient below and make their special occasion that little bit grander. 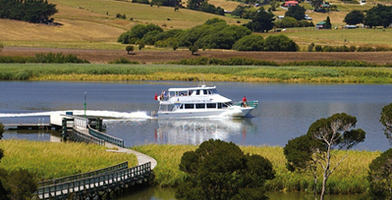 Cruise to Kings Wharf to view historic vessels then head down the Tamar River into the spectacular Cataract Gorge and view its sheer cliffs in comfort. 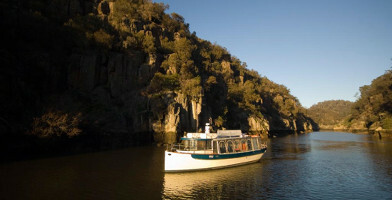 This 4 hour cruise through the magical Cataract Gorge includes morning tea, superb light lunch, TasmanianFloat down the beautiful Tamar River. Spend your afternoon cruising through the majestic Cataract Gorge while enjoying afternoon tea, fruit platters, local beer & wine and expert commentary.